The final Toolkit for the Risk Management of MNMs in the construction sector will be presented et Industrial Technologies 2016. The final version of the Scaffold Toolkit for the Risk Management of manufactured nanomaterials (MNMs) in the construction sector was presented at the workshop ”Nanosafety: From research to implementation of risk management and Safe Innovation in the nanotechnology industry” at the conference Industrial Technologies 2016, on 22.06.2016, 15:15-16:45 in Amsterdam. Please find here the presentation. The three-day conference Industrial Technologies 2016 is the largest networking conference in the field of new production technologies, materials, nanotechnology, biotechnology and digitalisation in Europe, with more than 1.250 delegates. It brings together research, industry, education, finance and policy from manufacturing and process industry and technology domains from all over Europe to identify priorities that are crucial to strengthen the European industrial innovation ecosystem. The Scaffold website has been updated with 4 reports by CEA. - Selection of representative PPEs used in the construction sector for efficiency tests. Oct 2012. - Experimental assessment of the efficiency of current personal dermal protection equipment used in the construction sector. June 2014. - High sensitive test procedure for testing the efficiency of personal dermal protection equipment against nano-hydrosols. Aug. 2014. - High sensitivity device for trapping aerosolized Nanoparticles and purifying air. Sept. 2014. Nanomatériaux dans le BTP : comment gérer les risques professionnels ? Objectif: confronter les outils fournis par Scaffold aux besoins des utilisateurs. Public: fabricants de produits de construction, fabricants d’équipements de protection individuels, fabricants d’équipement de protection collectifs, entreprise de construction, gestionnaires de parcs immobiliers, maîtres d’oeuvre. The Scaffold final newsletter summarizes the results of the projects. 2015 Scaffold Guides, Tools & Reports online !! Scaffold main outputs are now online, here! Scaffold- Nanomicex - SanoWork joint workshop: Operational occupational Risk Management Models and tools for MNMs in the industry. Find here the Presentations and conclusions. April 15th, 2015, 8:40 – 13:00, at the SENN Conference, Helsinki. - Recommendations for Occupational Health Care Units Concerning Workers: Handling Nanomaterials in the Construction Sector. FIOH. - The applicability of Stoffenmanager Nanotool in risk assessment of nanomaterials and comparison to the airborne particle measurements at selected workplaces. FIOH. Bruce Lippy, Gavin West CPWR - The Center for Construction Research and Training. They concern exposure and hazards, risk assessment through control banding, exposure and health monitoring. Scaffold presented its Safe-by-Design concepts at CompIC 2015 (Composites in Construction). The brokerage event of CompIC 2015 was held on Februrary the 4th, 2015 in Amsterdam, Hte Netherlands, with about 100 delegates from the sectors of composite materials, construction, research. Scaffold's posters and leaflets were on display on Scaffold's booths. Besides, the project was presented in an oral communication in the conference. The documents and the presentation focused on Scaffold's prevention and Safe-by-Design (SbD) concepts. Please find here Scaffold's poster and presentation on prevention and SbD. A unique review of the European NanoSafety research and knowledge: current state, perspectives, impacts, by the leaders in the field, coordinators of FP7 projects and Chairmen of the NanoSafety cluster working groups. On 10-11.12.2014, the DG Research and Innovation and the NanoSafety cluster (NSC) organized a review of the FP7 NanoSafety research and especially its results and their impacts. The agenda, notes and presentations from the meeting can be found here. Scaffold contributed with a presentation by the project coordinator Jesus López de Ipiña: SCAFFOLD: Innovative strategies, methods and tools for managing occupational nano-risks in construction. NanotechItaly 2014 will take place in Venice (Italy) on November 26-28, 2014. NanotechItaly 2014 will showcase how nanotechnologies, together with the other KETs, can sustain a Responsible Research and Innovation (RRI) assuring a competitive advantages to a variety of industries, relevant to EU and National economy. Cognitive diseases: biosystems and biomaterials, monitoring and sensing devices (e.g. MEM-devices), imaging, modelling approaches. Active Assisted Living (AAL): technologies for assistance, physical prevention, rehabilitation and social inclusion, fixed and mobile (werable) sensors, human machine interfaces, robotics. Scaffold was present with posters, leaflets and a presentation at the NanoREG workshop. Industrial Technologies 2014 was held for the 3rd time in Athens, Greece, on April 9-11, 2014. The event was participated by over 1300 delegates, among which 150 high-level speakers presenting nanotechnology, biotechnology, advanced materials and new production technologies. Scaffold's overview posters and/or leaflets were on display on Tecnalia's, EU-VRi's and Acciona's stands. Besides, the project was presented at the NanoREG workshop organized within the conference. Standardization: Scaffold has established an offficial Liaison with CEN TC 352. This will allow Scaffold to participate to meetings of TC 352, and so to be more efficient in the transfer of knowledge from the Scaffold research to standards directly exploitable in the construction sector. The Commission has launched a public consultation on the options of possible amendment of REACH Annexes for the registration of Nanomaterials. The objective of the policy initiative is to ensure further clarity on how nanomaterials are addressed and safety demonstrated in registration dossiers. REACH must ensure a high level of health, safety and environmental protection. At the same time it should permit access to innovative products and promote innovation and competitiveness. The regulatory environment affects time to market, marginal cost structure and allocation of resources, especially for SMEs. It also creates new business opportunities and contributes to consumer and investor confidence in the technology. Specifically, the policy initiative shall provide clearer REACH requirements for nanomaterials to ensure that industry demonstrates safe use in the registration dossiers in accordance with the aims of REACH Article 1(1) "to ensure a high level of protection of human health and the environment, including the promotion of alternative methods for assessment of hazards of substance, as well as the free circulation of substances on the internal market while enhancing competitiveness and innovation". The Commission proposal of possible amendment of the REACH Annexes is foreseen to be made in 2013, and will be accompanied by an Impact Assessment. The objective of this consultation is to provide the Commission with the best possible evidence base for its work with the above tasks. EuroNanoForum 2013 will take place 18-20 June 2013 at the Convention Centre Dublin in Ireland. EuroNanoForum 2013 focuses on the commercialisation of nanotechnologies, exploiting its potential for new applications and taking them further from enabling technologies to end products. It will also introduce the industry to new innovations for growth opportunities. With Horizon2020 beginning in 2014, the conference will also show how nanotechnologies fit into the new structure within Europe’s key priority areas of excellent science, industrial leadership and tackling societal challenges. SCAFFOLD will be present through the participation of project partners, a poster and its leaflet. A two-day joint workshop:“Health and Environmental Impact of nano-enabled products along the life cycle”, was organized by the coordinators of three European FP7 Projects: NANOPOLYTOX, NANOSUSTAIN and NANOFATE, on the 7th-8th of May 2013 in Barcelona (Spain). The workshop aimed, first of all, to present the results reached by the three FP7 projects: Nanopolytox, NanoSustain and NanoFATE to a broad audience, sharing the findings and presenting the drawbacks faced during the execution of these projects. Furthermore, the ongoing research on different areas of nanosafety was presented to give an overview on the current status and future perspectives on nanosafety. For the final program of the workshop, please go to the following link: www.leitat.org/nanoLCA. The SCAFFOLD project was presented at nanoLCA2013: please click here to get to the SCAFFOLD presentation. The First Annual Progress Meeting, General Assembly and Steering Committee of the SCAFFOLD project took place in Bilbao, Spain, from April 24 to April 25 2013. All project partners shared their results, assessed the progress of the project, and coordinated their actions for the following year. 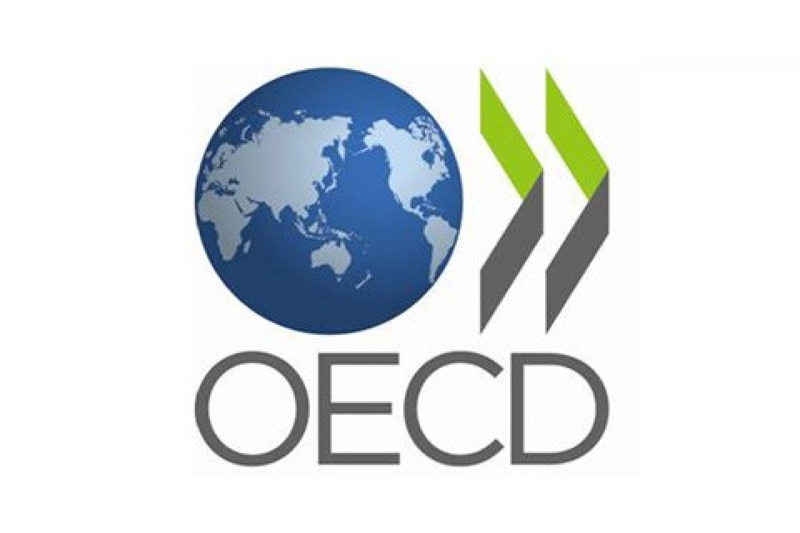 OECD has recently published a report on "Current Developments on the Safety of Manufactured Nanomaterials - Tour de Table at the 10th Meeting of the Working Party on Manufactured Nanomaterials". The book of abstracts of the "International Congress on Safety of Engineered Nanoparticles and Nanotechnologies" is now available. Enable commercial opportunities for safe use of these materials and technologies. The NANOSAFE project will organize the next edition of the International Conference on Safe production and use of nanomaterials Nanosafe 2012 on November 13-15, 2012, in Grenoble (France). Following the successful outcome of the past International Conference on Safe production and use of nanomaterials Nanosafe 2010 that took place in Grenoble (France), the Organizing Committee has decided that the next edition will take place in MINATEC again in November 2012. G. Oberdörster (U. ROCHESTER), D. Pui (U. MINNESOTA), D. Brouwer (TNO), T. Nhuyen (NIST), F. Schuster (CEA), B. Nowack (EMPA), R. Muir (NANEUM). D. Bernard (ARKEMA), J. Rose (CEREGE), C. Engeman (UCSB) A. Grobe (U. STUTTGART). A. Grinbaum (CEA), F. Roure (FRENCH MINISTRY FOR ECONOMY, FINANCE AND INDUSTRY), A. Kishimoto (AIST, RISS), C. Emond (U. MONTREAL), L. Golanski (CEA), O. Witschger (INRS), E. Drais (INRS), P. SCHULTE (NIOSH/CDC), M. Puolamaa (European Commisssion, Brussels). Papers will be presented in oral and poster sessions. The NANODEVICE project partners and FIOH invite you to the "International Congress on Safety of Engineered Nanoparticles and Nanotechnologies" to be held on 28–31 October 2012 in Helsinki, Finland. The NANODEVICE project partners and the Finnish Institute of Occupational Health invite you to the "International Congress on Safety of Engineered Nanoparticles and Nanotechnologies" to be held on 28–31 October 2012 in Helsinki, Finland. The Congress programme consists of further education lectures on 28 Oct, keynote presentations and free communications and an exhibition on 29 to 31 Oct. The "EU-U.S. Bridging NanoEHS Research Efforts - A Joint Workshop2012" will take place on 25–26 October 2012 in Helsinki. "EU-U.S. Bridging NanoEHS Research Efforts - A Joint Workshop2012"
The Workshop is organized by the European Union (European Commission / NanoSafety Cluster) and the U.S. National Nanotechnology Initiative (NNI), and it is hosted by the Finnish Institute of Occupational Health (local organizer). The purpose of this second Joint Workshop between the European Union (EU) and the U.S. is to further promote and deepen the EU-U.S. collaboration on nanosafety research. The aim is also to continue developing the Communities of Research (CoR) and to bring them to a concrete level of organization and activity. This Joint Workshop is aimed at administrators and policy makers, decision makers and scientists from the EU and the U.S. 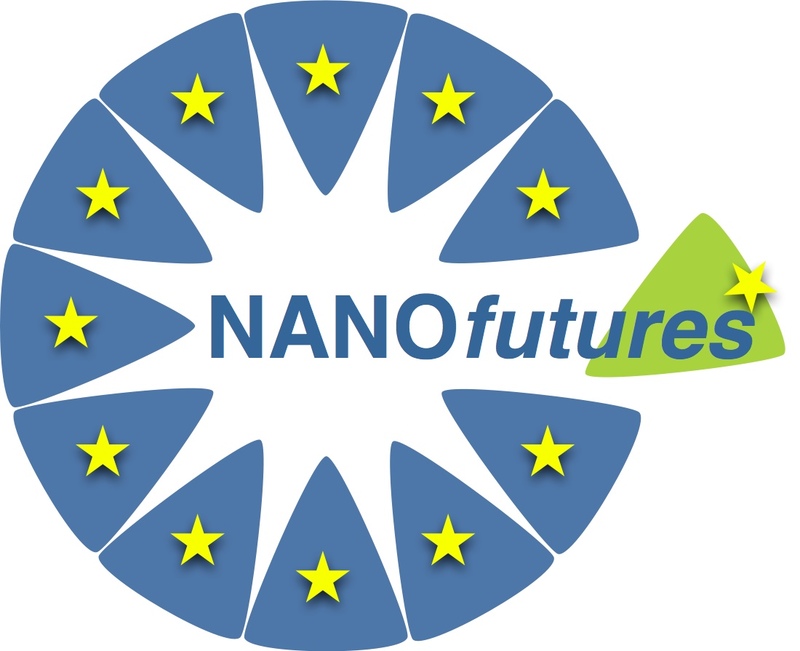 The NANOfutures project has recently published the Integrated Research and Industrial Roadmap for European Nanotechnology. - Have a market-driven value chain approach with a set of tech and non-tech actions along the identified value chains. This roadmap represents an open working document, developed within the European Coordination and Support Action NANOfutures (contract number NMP4-CA-2010-266789). This document will be further developed with all NANOfutures Platform members and other stakeholders from the Nano related Community who would like to contribute. In this sense, an open on-line consultation will be opened soon. The JRC has just released a reference report on the "Requirements on measurements for the implementation of the European Commission definition of the term 'nanomaterial'". The JRC (authors Gert Roebben, Francois Rossi, Douglas Gilliland, Neil Gibson, Christoph Klein, Luigi Calzolai and I) has just released a reference report on the "Requirements on measurements for the implementation of the European Commission definition of the term 'nanomaterial'". A JRC report, published today, presents an in-depth review of methods available to measure the size of nanoparticles. Following the adoption of the definition of the term 'nanomaterial' in October 2011, it identifies relevant measurement methods and key challenges for measuring nanoparticle size in the regulatory context. The report underlines that no single measurement method can be used for all materials to determine if each of them falls within the regulatory definition. Different methods will be required depending on the material under investigation. The report gives an overview of the capabilities of currently available measurement methods, including techniques such as electron microscopy, dynamic light scattering and centrifugal liquid sedimentation, among others. It also identifies measurement issues that remain to be solved. The conclusions highlight the practical challenges of measuring materials with widely varying properties. None of the currently available methods can determine whether all kinds of potential nanomaterials meet the regulatory definition or not. Therefore, a proper combination of measurement methods is required. The reliability of each of the measurement methods used in such combined, tiered approaches will need to be thoroughly checked in dedicated method validation studies. The 2012 edition of the Compendium of the NanoSafety Cluster is now available. The 2012 edition of the Compendium is now available. For several years now, the research community has responded by launching very valuable projects under the Sixth Framework Programme FP6 and Seventh Framework Programme FP7, marking significant technological progress both in the technology and in its safety management. About fifty projects are either completed or running and represent a total RTD investment of €137M, from the NMP and other programmes, under FP6 (13 projects, €31M) and FP7 (34 projects, €106M). These projects together with a significant number of projects supported by government resources in the EU member states and the FP7 associated states, and other projects addressing safety as side objective,represent the valuable efforts of the scientific and industrial research community for progress. Please click on the link below to view the recently published European NanoSafety Cluster Compendium, which contains information on all running or recently completed projects funded under the Seventh Framework Programme FP7. Information on older projects can be found in the previous editions. The previous edition (2011) of the compendium is available here. For further information on FP6 and FP7 programmes please click here. 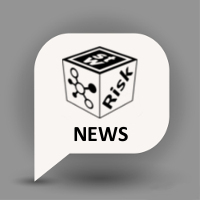 EU-VRi and Steinbeis Advanced Risk Technologies have published a new brochure "Risk - we care®!" containing interesting information, events and projects about the past 10 years of R-Tech and the past 5 years of EU-VRi. Following the approved liaison between ISO 31000 and EU-VRi/iNTeg-Risk (see news entry), a discussion between the iNTeg-Risk Project Coordinator and the CEO of EU-VRi, A. Jovanovic, and the Moderator of the LinkedIn ISO 31000 Risk Management Standard Group, A. Dali, took place. One of the main results, so far, would be the involvement of the EU-VRi/iNTeg-Risk partners into the first global survey of ISO 31000–Risk Management Principle and Guidelines set to kick off on the 17th of October this year. Following the approved liaison between ISO 31000 and EU-VRi/iNTeg-Risk (see news entry), a discussion between the iNTeg-Risk Project Coordinator and the CEO of EU-VRi, A. Jovanovic, and the Moderator of the LinkedIn ISO 31000 Risk Management Standard Group, A. Dali, took place. One of the main results, so far, would be the involvement of the EU-VRi/iNTeg-Risk partners into the first global survey of ISO 31000–Risk Management Principle and Guidelines set to kick off on the 17th of October this year. The aim of the survey is to gauge how ISO 31000 is perceived by risk practitioners across all sectors and to provide input for the preparation of the ISO 31004 guide, due out in 2013. Members of more than 70 risk management associations around the world are invited to participate in the study which is being run through an initiative by the LinkedIn discussion group on ISO 31000. Issued in November 2009, ISO 31000 provides principles and generic guidelines on risk management. It can be used by any public, private or community enterprise, association, group or individual and is not specific to any industry or sector. "This is the first time the global risk management community active across all fields, sectors, industries and services is being invited to participate in an international survey on ISO 31000. It is a great opportunity to share your thoughts and concerns about the ISO standard on risk management" said Alex Dali. You will be encouraged to participate through EU-VRi/iNTeg-Risk sites or the LinkedIn group. You can join the discussion forum preparing the survey at: http://www.linkedin.com/groups?mostPopular=&gid=1834592. We encourage your participation and will gladly support it. 2011 EUROPEAN COMMISSION - PRESS RELEASE - What is a nanomaterial? Brussels, 18 October 2011 – "Nanomaterials" are materials whose main constituents have a dimension of between 1 and 100 billionth of a metre, according to a recommendation adopted by the European Commission today. The announcement marks an important step towards greater protection for citizens, clearly defining which materials need special treatment in specific legislation. European Environment Commissioner Janez Potočnik said: "I am happy to say that the EU is the first to come forward with a cross-cutting designation of nanomaterials to be used for all regulatory purposes. We have come up with a solid definition based on scientific input and a broad consultation. Industry needs a clear coherent regulatory framework in this important economic sector, and consumers deserve accurate information about these substances. It is an important step towards addressing any possible risks for the environment and human health, while ensuring that this new technology can live up to its potential." Nanomaterials are already being used in hundreds of applications and consumer products ranging from toothpaste to batteries, paints and clothing. Developing these innovative substances is an important driver for European competitiveness, and they have significant potential for progress in areas like medicine, environmental protection and energy efficiency. But as uncertainties remain about the risks they pose, a clear definition is needed to ensure that the appropriate chemical safety rules apply. The definition will help all stakeholders including industry associations, as it brings coherence to the variety of definitions that are currently in use in different sectors. The definition will be reviewed in 2014 in the light of technical and scientific progress. The recommendation also delivers on a commitment made in 2009 to the European Parliament to issue a single definition that is broadly applicable to all EU legislation concerned by nanomaterials. The definition adopted today is based on an approach considering the size of the constituent particles of a material, rather than hazard or risk. The wording describes a nanomaterial as "a natural, incidental or manufactured material containing particles, in an unbound state or as an aggregate or as an agglomerate and where, for 50% or more of the particles in the number size distribution, one or more external dimensions is in the size range 1 nm – 100 nm." The definition is based on scientific advice from the Scientific Committee on Emerging and Newly Identified Health Risks (SCENIHR) and the Joint Research Centre (JRC). A draft version of the definition was subject to a public consultation. Nanomaterials are currently governed by a variety of legislative instruments at EU and national level. However, definitions have been developed on a case-by-case basis and vary across sectors, creating unnecessary burdens for industry and hampering public debate about risks and benefits of these substances. This recommendation gives EU legislators a legal reference for nanomaterials, when adopting new or implementing existing legislation. The experience of the first registration deadline (30 November 2010) under REACH, the EU's overarching chemicals policy, showed that companies needed more clarity about their obligations with regard to nanomaterials. REACH has a key role to play in generating information about the properties of nanomaterials as chemical substances. With the adopted definition it will be easier for companies to assess their registration dossiers and determine exactly when they should consider their products as nanomaterials.